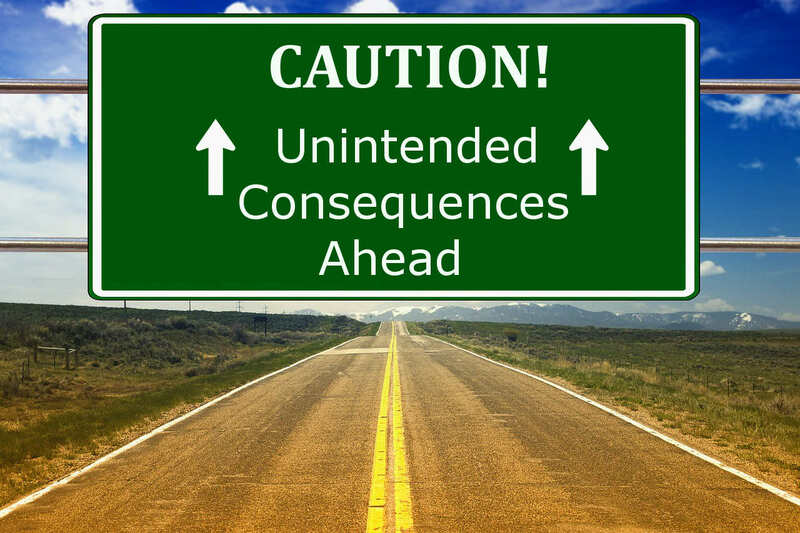 Unintended Consequences are the situations that occur when an action results in a different outcome that wasn't initially expected. Despite the fact that the unintended results may or may not have been anticipated, this doesn't mean that the results occurred. - The unexpected results are negative, which is exactly the opposite that you were looking for.